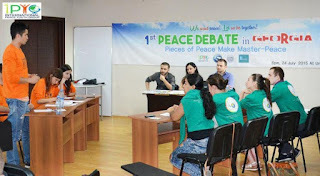 After the debating sessions, the youths signed peace agreements for the enactment of international laws which marked the end to the day’s event. On this day, youth attendees signed Heavenly Culture, World Peace, Restoration of Light’s peace agreements for the enactment of international laws which is the practical device that will help achieve cessation of wars ultimately. 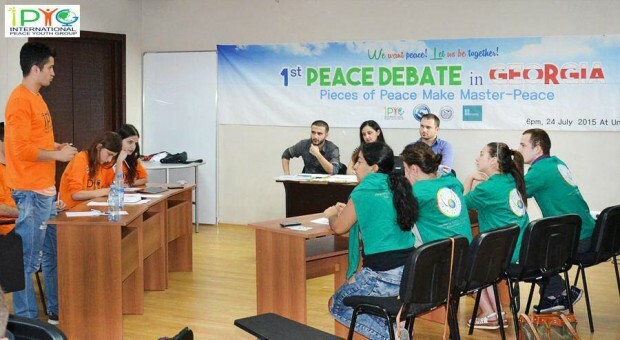 Georgian youth organizations share hopes and ideas about peace. 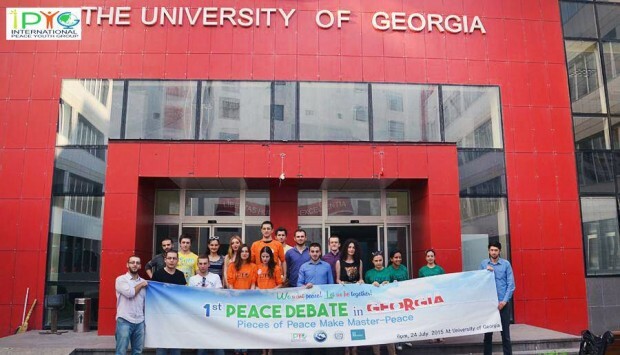 On July 24th at 6pm, the Georgian youth united together at the University of Georgia, Tbilisi Georgia to host a Peace Debate event under the theme of ‘The pieces of peace come together to form a masterpiece’. 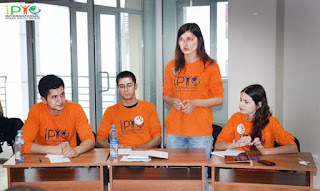 International Peace Youth Group (IPYG), a youth organization of South Korea and the youths who had formed alliances with it like the Young Progressive Leaders of Georgia, League of Young Diplomats, Georgian Youth Development Association and Droni prepared for and partook in this event together this day. The debate itself took the form of Karl Popper, a style that has become more prevalent in Georgia recently. Karl Popper style debate is where various teams carry out debates in the form of a tournament and eventually select a winning team. As for this occasion, the content of the two sessions of the day’s debate were 1) What is the rightful way of recovering a lost territory? Is it war or diplomacy? 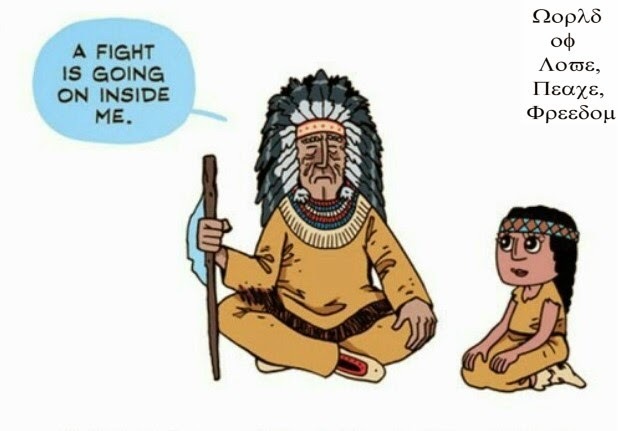 2) If there is no one to go out and fight a war, there will be no war. 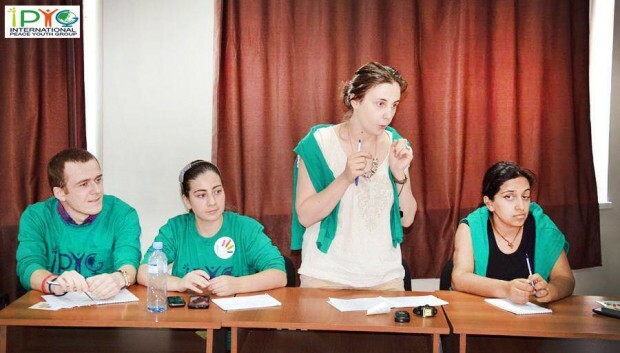 In what ways can the youth express that we, the youth will not partake in wars and help the rest of the youths realize that we ourselves can bring an end to wars? respectively. International Peace Youth Group, together with International Women’s Peace Group (IWPG) is working towards the enactment of international laws for the cessation of wars as affiliated bodies of Heavenly Culture, World Peace, Restoration of Light (HWPL, Chairman Man Hee LEE). Centralizing around ‘The Declaration of World Peace’ which was announced in May 25th, 2013 by Chairman Man Hee LEE of HWPL, a non-governmental organization registered under the Ministry of Foreign Affairs, South Korea, they are campaigning vigorously to realize world peace. Recently Chairman Man Hee LEE had commented that IPYG should become a wing of HWPL to help realize peace. Last June, he had also delivered a peace letter to all of the IPYG youth members across the world which contained the message: “Thanks to the continued works and efforts of the youths, HWPL has blossomed with peace and has become a light that shines brightly onto this world. Everyone, let us together with God bring an end to all wars here on this land. And through achieving peace, let us not lose any more innocent lives of the youths. The messenger of peace, HWPL is counting on the youths”.